Food producers in the Hawke’s Bay region of New Zealand have won a major battle to keep the Hastings District officially GM Free. Federated Farmers has formally abandoned its legal attempt to overturn Hastings official GM Free food producing status. 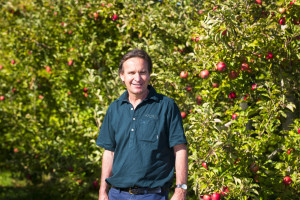 Pure Hawke’s Bay, a lobby group representing Hawke’s Bay growers, exporters and farmers backed the GM Free plan rules adopted by the Hastings District Council in 2015. Pure Hawke’s Bay chairman, and sheep and beef farmer Bruno Chambers says it’s a very exciting win after many years of unnecessary battle. Hastings District Council was the first in New Zealand to adopt rules in the local plan to prohibit GM field trials and releases in the district. These rules are now in effect. “It’s a tribute to the Council, which understood the economic opportunities and how crippling GM contamination could be for our high-value food producers,” said Mr Chambers. The region’s GM Free status was also put under threat last year by a proposed change to the Resource Management Act. “We’ve fought all the way and had to take the issue to Parliament, to protect Hawke’s Bay’s right to decide,” said Mr Chambers. Bostock New Zealand Owner and a member of Pure Hawke’s Bay, John Bostock says the win is huge for everyone in Hawke’s Bay. “Some of the world’s most celebrated food regions – Tuscany, Provence, Bordeaux – are officially GM Free. That’s the club we want to be part of,” says Mr Bostock. Bostock New Zealand is one of New Zealand’s largest growers and exporters. “This is an opportunity to promote Hawke’s Bay and our premium produce internationally with real credibility. Hawke’s Bay is the Tuscany of New Zealand and now we can promote ourselves on par – as a premium growing region. Mr Bostock says overseas demand for GM free products just keeps growing and Hastings’ position creates real opportunities in competitive high-end markets. Hastings Mayor Sandra Hazelhurst says securing Hastings’ valuable GM Free status in law will help grow the local economy. Hastings is not the only council to be taking this path. Auckland City, Whangarei and the Far North together now make up a large official GM Free region, after more than a decade of planning and community consultation.